Moglix, India’s fastest growing B2B commerce and Procurement Software company, integrated iCAT, an Intelligent Contract Automation Tool, to their existing contracting system. This would transform Unilever Procurement’s contract management system. Digitally transforming Unilever’s contracting process, covering US$20 billion Direct Material spend, Moglix has enabled an innovative, transparent and efficient way of contracting. Underlining the challenges faced by Unilever leading to this association; Unilever has geographically dispersed buyers across the world, who work on more than 120K contracts annually. Processing contracts at such a scale was a time and effort intensive activity for the procurement team resulting in long turnaround time. Also, cross functional collaboration and achieving operational efficiency was an issue, said Moglix in a release on 25 Mar 2019. Moglix has worked closely with Unilever to identify the root cause of the issues and co-create the solution to consolidate and automate their contract management process by deploying an Intelligent Contracting Automation Tool (iCAT). Co-developed as a dynamic and a cloud-based solution, iCAT makes the contracting process collaborative, efficient and accurate, increasing the contracting velocity and reducing risk, said Moglix. Deployment of iCAT is a part of Unilever Procurement’s digital transformation journey and talking about it, Dhaval Buch, Unilever’s Chief Procurement Officer, said: “Unilever has 1500+ procurement professionals, operating across 100+ countries, managing USD 20 Billion annually. Processing contracts for a geographically dispersed organisation was time-consuming and inefficient. Talking about the methodology Moglix took towards Unilever’s requirements, Rahul Garg, Moglix Founder and CEO, elaborated: “Contract management is the heart of procurement. It was exciting to work with Unilever and standardize and consolidate their contract management process, that has saved time and effort. “Large organisations like FMCG, Auto, Pharma and Chemical can use iCat platform to unlock great savings by consolidating their contracting process. Further, emerging technologies like machine learning and blockchain will be leveraged to draw actionable insights from the data in order to make the process transparent and compliant. 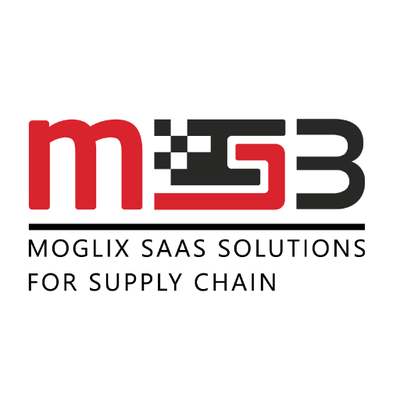 “We are excited to launch our SAAS offering – MS3 globally, specializing in solving supply chain problems, Moglix SAAS division will be led by Sandeep Goel, SVP Technology,” said Garg. Moglix is India’s largest and fastest growing B2B commerce company that specializes in B2B procurement of industrial products such as MRO, fasteners, electrical, hardware, pneumatics, safety items and more. We extend our expertise digital transformation of supply chain through the SAAS offerings focused around forecasting, procurement, procure to pay and order to delivery.